In last week's challenge, we looked at a hypothetical training world where the only course design tools we had were pen and paper. The samples you shared were nothing less than inspirational. When I shared your examples in my workshop yesterday, several people commented on how they imagined sketching a course could be faster than using images and text. And I totally agree. So in the spirit of moving faster and looking at non-traditional e-learning tools, I thought it would be fun and educational to take a look at some ways course designers can use smartphones to create video courses and tutorials. This week, your challenge is to record, edit, and publish a training video using your smartphone. Choose a topic that allows you to record multiple videos for your project. The focus on this challenge is as much about editing as it is recording. Whether or not you participate in this week's challenge, I'd love to get your feedback on the following questions. For those who participate, use the comments section or your own blog to answer the questions. This is a hot topic right now so course designers will be interested to hear about your projects. 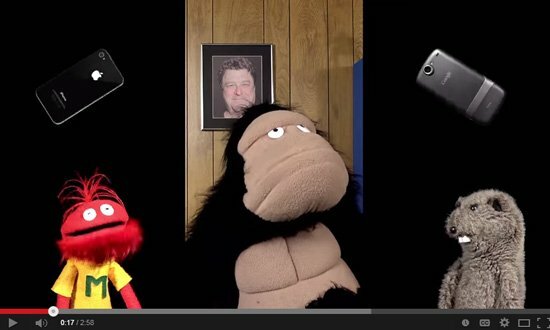 What are some advantages and disadvantages to using smartphones for video training? What types of content work well for this type of training? Did you use your camera's built-in recorder or did you use a third party app? Talk about why you went with a different app. What are some tips and best practices for creating smartphone training videos? How long did it take you to create your video? You can use your smartphone’s built-in video camera to record and edit your videos. The emphasis is on using something portable and relatively inexpensive to create training videos. If you use one or more custom apps, let us know what you used and how it worked for you. You can embed your training videos in Articulate Studio or Articulate Storyline and share your project like any other course. Another option is to publish to a video hosting service like YouTube, Vimeo, or even Flickr. If you need help hosting your project, send me a DM through Heroes and I’ll help you out. Here are a few articles on using smartphones to create video. After you publish and share your videos, please share some of your own tips and lessons learned. How Can I Shoot Better Video On My Smartphone? Jeff Kortenbosch kicked off the week’s challenge by sketching a rapid response process for a fictional flood in the Netherlands. Featuring checklists for do's and dont's and a location map for affected areas, this is a well-conceived project. Melissa Milloway followed with her own emergency response designs for a science lab accident. Sketches include a scenario intro, checklists, step-by-step, and prevention guide. Great job (and handwriting) Melissa! Jackie Van Nice took things in a slightly different direction with her mixed-media abduction survival guide. There’s lots of ransom-iffic goodness going on in this organic and highly tactile “course” design. Kimberly Bourque shared her analog-based hurricane survival guide featuring a locator map, contact numbers, and evacuation decision map. Awesome, Kimberly! Lance Treloar shared a low-tech guide to surviving an alien invasion. It could happen, you know? I really like the way Lance used contrasting line weights to visually group the steps. Richard Watson buzzed through this challenge with a colorful guide to surviving a killer bee invasion featuring FAQs, maps, how-tos, prevention, and removal steps, this is a “sweet” project. Richard took things up a notch by creating an interactive version of his project that caused even more buzz. Daniel Adeboye sketched a colorful step-by-step guide for coping with test anxiety. Simple and elegant solution featuring background information, do's and dont's, recovery and prevention tips. Nicely done, Daniel! Dianne Hope shared a three-step bush fire safety guide that features how-tos for preparing, acting, and surviving. Thanks, Dianne! Allison Nederveld used Sharpies and watercolors to guide users through a hurricane disaster that features shelter news, FAQs and reminders, evacuation routes, and a safety checklist for dos and don’ts. Awesome project, Allison! Hazel Brewer joined her first challenge (Yay!) with a highly relevant zombie survival guide. Featuring branching sticky notes and safety maps, this is another creative example of lo-fi course designs. Thanks for sharing, Hazel! Dan Sweigert sketched a Survivorman-themed survival guide for surviving a cruise ship disaster. Featuring bold graphics and tips for shelter, food, and safety, these sketches are a great solution to pen and paper course design. Thanks, Dan! Wishing you a videotastic week, E-Learning Heroes! @David and @Jackie: Thanks for taking the time to watch them!